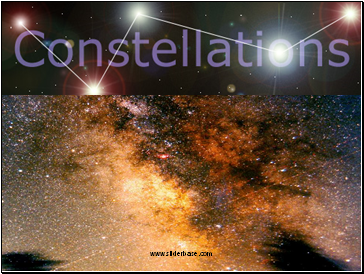 As early as 5000 years ago, people began naming patterns of stars, called constellations, in the honor of mythological characters or great heroes. 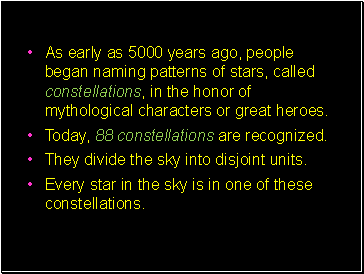 Today, 88 constellations are recognized. 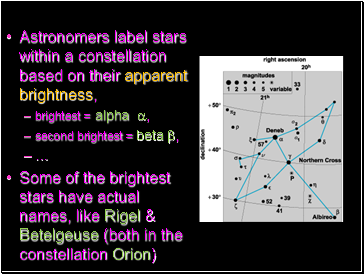 They divide the sky into disjoint units. 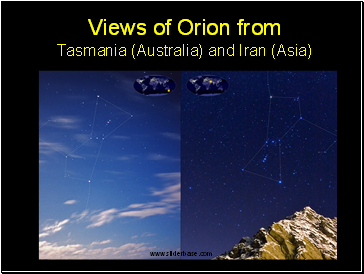 Every star in the sky is in one of these constellations. 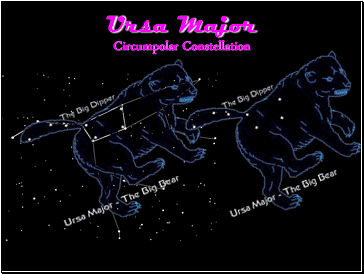 Ursa Major, the Great Bear, is visible in the Northern Hemisphere all year long. 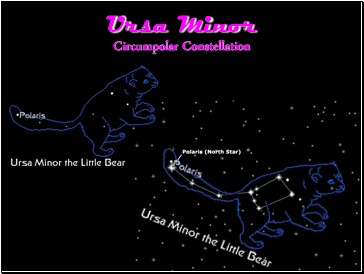 Ursa Minor, the Little Bear, is visible in the Northern Hemisphere all year long. 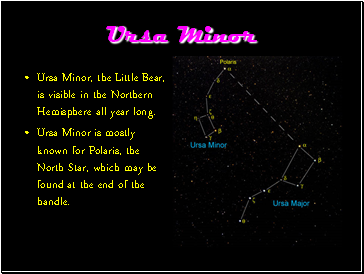 Ursa Minor is mostly known for Polaris, the North Star, which may be found at the end of the handle. 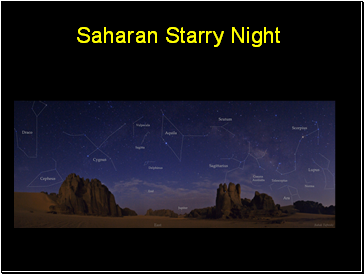 Cepheus was the King of Ethiopia. 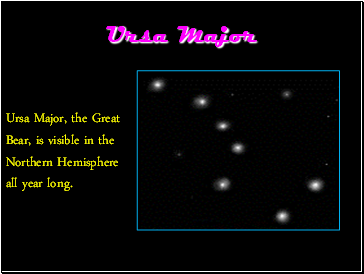 He married Cassiopeia and they had a daughter Andromeda. 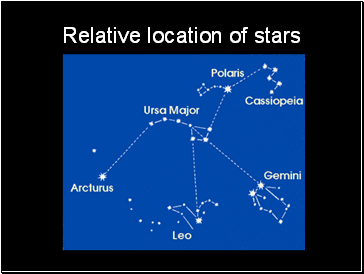 Cassiopeia was incredibly beautiful but immensely vain. She was also proud of her daughter's beauty. 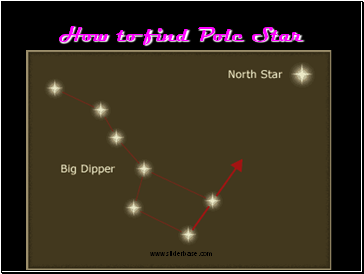 In fact she continually boasted that the two of them were more beautiful than any of the fifty sea nymphs who attended Poseidon's court. 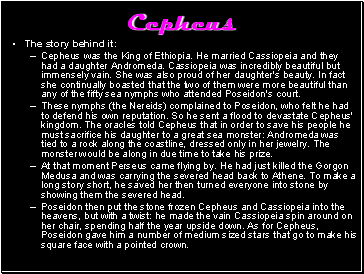 These nymphs (the Nereids) complained to Poseidon, who felt he had to defend his own reputation. 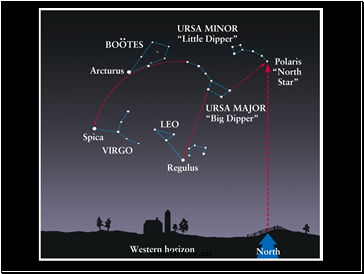 So he sent a flood to devastate Cepheus' kingdom. 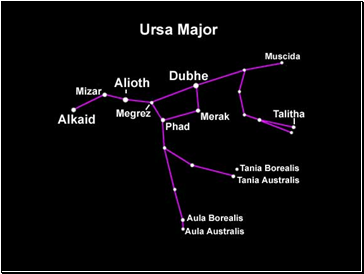 The oracles told Cepheus that in order to save his people he must sacrifice his daughter to a great sea monster: Andromeda was tied to a rock along the coastline, dressed only in her jewelry. The monster would be along in due time to take his prize.